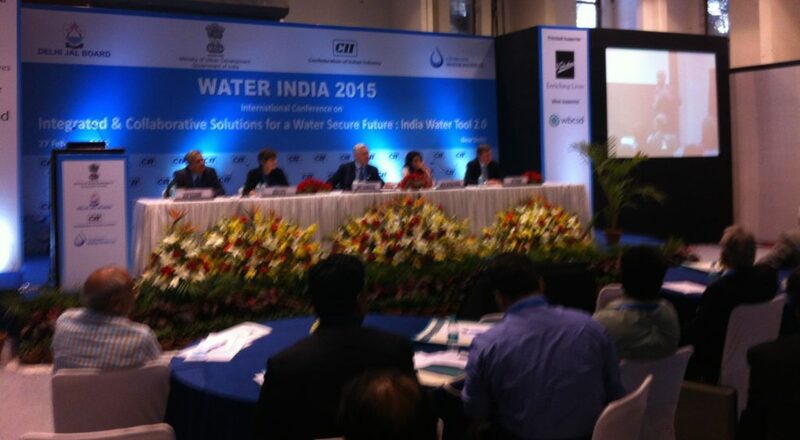 Today’s launch of India Water Tool 2.0 (IWT 2.0) generated an enthusiastic discussion. The launch took place at the International Conference on Integrated & Collaborative Solutions for Water, organized by the Confederation of Indian Industry (CII) in Delhi. Freely available online, IWT 2.0 helps identify water related risks at specific locations across India through a screen of 14 indicators, including groundwater level, annual surface water availability or total annual rainfall. 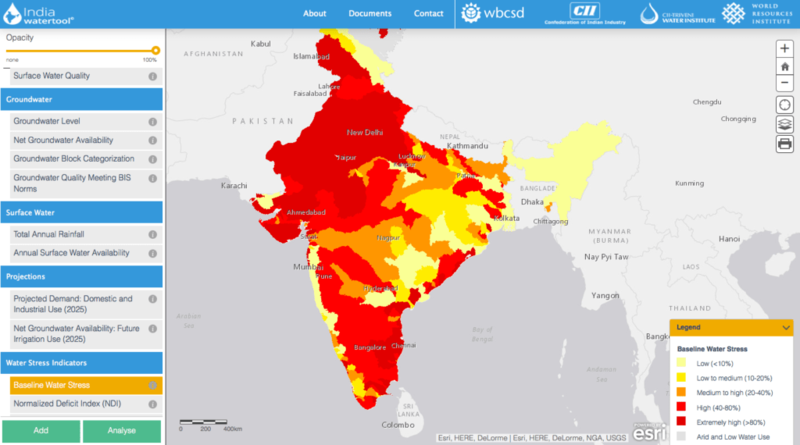 A comprehensive image of the water stress level at specific locations, surface and ground water quality compliance with BIS norms, key water reporting indicators that can be used to directly report to different corporate disclosure initiatives. Projections on domestic and industrial demand as well as on net groundwater availability over the next 10 years are equally interesting. Maps and graphs compile information into an easy-to-use visual format and a short introductory video can quickly set anyone ready to use the tool. The system deliberately doesn’t collect any data on users to remove all potential concern from companies using the tool. IWT 2.0 clearly facilitates the task of the private sector on monitoring its existing industrial sites and wisely choosing future site locations. Yet, I equally see high added value for international organizations, governments and NGOs working on water management. In fact, when we design water and wastewater management related programmes, prioritizing actions in line with a comprehensive overview of where major water stress areas are is essential. The tool could for example become a reference in discussions between a development partner organization and the Indian government when selecting areas for cooperation or could guide a national NGO on which specific areas to put priority upon. IWT 2.0 allows to compare up to 250 locations, which makes it handy to have an at-a-glance view of the water conditions in cities. Although data goes as specific as up to urban districts, we’ll need to wait for versions 3.0 and 4.0 to get the detail level at the community scale, as was enthusiastically suggested during the discussion. Finally and importantly, the Conference stressed strongly enough that surely such a tool is great to prevent additional water scarcity in already high or extreme high water stress areas, yet the target is to use water efficiently in all areas. Water reuse and recycling is to become an increasingly popular water resource. The issue is to be shifted from water availability to water management. Measures such as the Zero Discharge norm for industries recently adopted in India will certainly play a welcome stimulating role in it. The tool was co-developed by 13 partnering leading companies and organizations, among which World Business Council for Sustainable Development (WBCSD), World Resources institute (WRI), Mahindra, Pepsico, Confederation of Indian Industry (CII), etc. Tailored to Indian conditions and requirements, it is an improvement on version 1.2 and an adaptation of the 2007 launched Global Water Tool.